The trade name “Anastrozol” is also the name of the active substance – Anastrozole, which is used in this preparation. 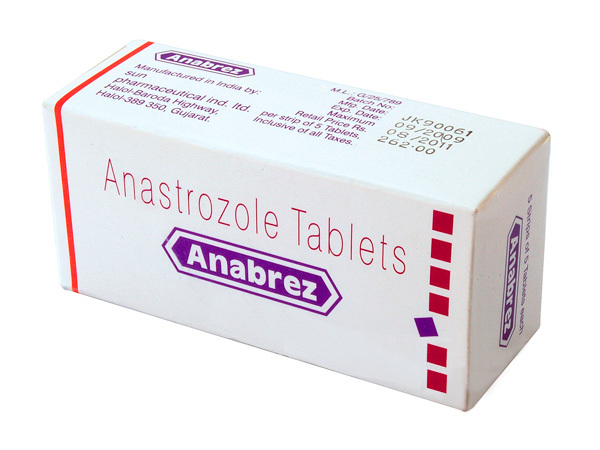 Anastrozole is a highly selective third generation aromatase (estrogen) inhibitor. The release form – square tablets of yellow color, active ingredient in 1 tab. – 1 mg. Available in blisters of 20 tablets. The package of 60 tablets, but with us you can buy anastrozole in a blister. Anastrozole price in pharmacies is much too high and more expensive, 10 times times than in our online store. At the same time, buying anastrozole from us, you do not risk quality, since the quality of Anastrozole is pharmacy. Fluid retention in the body, as a result of the effect of “flooded” muscles, the muscles quickly “clogged” in training. The purchase and use of anastrozole on the course of the AU avoids the development of side effects associated with the aromatization of steroids. In addition, taking anastrozole in bodybuilding, on the course of steroids, allows you to improve the quality of your muscles, (the effect of “muscle stiffness), increase the amount of free testosterone in the athlete’s bloodstream, leading to greater effectiveness of the drug used. As a rule, bodybuilders of all stripes begin to take anastrozole, only when signs of gynecomastia appear, or gynecomastia has already appeared (However, this is how we all take to take drugs aimed at combating gynecomastia). The best option, taking anastrozole in bodybuilding is testing for estrogen levels, after 10 days if “short preparations” are used – testosterone propionate, methane, or after 3-4 weeks if drugs with a long period of life are used (testosterone enanthate, cypionate , sustanon). If signs of gynecomastia have not yet appeared, half a tablet or 0.5 mg. taken every other day will be enough to moderately reduce aromatization and prevent side effects.